9155 Comments - Leave a comment! Last night I had the pleasure of listening to the Personal Finance Hour live for the first time. This show, hosted by JD Roth of Get Rich Slowly and Jim Wang of Bargaineering, offers an excellent weekly discussion on all topics personal finance. This week’s show topic was about making extra money. The enthusiasm of JD, Jim and the live listeners was palpable with lots of activity in the chat room throughout the show. Additionally, there were plenty of callers to chime in about how they make extra money. 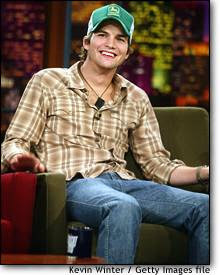 The show started with Jim discussing how he took advantage of the John Deere hat fad in the early 2000’s made popular by Ashton Kutcher. While Jim was in college he went and purchased these hats for $12 or so and then turned around and sold them on eBay for $30-$50. Jim stated this was the first time he caught a trend as it was coming into its own and he made a significant profit from the reselling of these hats. Next Martha, Jim’s wife, called in and discussed the benefits of finding a hobby that you can make money with. Specifically, Jim’s sister makes jewelry on the side of her teaching career and sells them on Etsy (allthatglistens.etsy.com) as a way of making some extra money. Martha further mentioned the idea of selling items at a flea market if you have a good that may have a niche market that people are willing to pay for (canned goods, dog biscuits, etc.). JD mentioned later in the show another hobby that could become profitable, photography. Selling your photos to friends, at a flea market, or to magazines could be a way to subsidize your photography hobby. Fortunately, I had the opportunity to get on the show and discuss the methods I have found to make extra cash. I detailed all of my side jobs from delivering pizzas, working as a concierge at an apartment building, and working for credit towards my hockey league fees as a scorekeeper for the league. JD and Jim agreed that working so many jobs can be stressful, but when you are goal driven (paying down debt, building an emergency fund, maxing out your Roth IRA) working so much may be an easier pill to swallow. The next caller called in and discussed sales jobs, or commission based jobs, that can provide extra income on the side. Neal, the caller, closed with an interesting example and a very smart point. He says his skills lay within the framework of sales and salesmanship, however he is not someone to come up with ideas the way Jim did earlier with the John Deere hats. I believe that what Neal said is very profound, as I don’t consider myself to be an “idea” person either, but I feel I am the “go get it done” kind of guy. Neal is someone that is a “sales” guy and Jim (in this example) is an “idea” guy. It pays to know your strengths and then to try utilize those strengths to better position yourself for future opportunities. Jim and JD spent a moment after Neal’s call to mention that one should be weary of multi-level marketing sales jobs that may require you to purchase the items prior to selling them. Furthermore there are networks that require you to pay up front for the opportunity to sell their goods or take part in their money making schemes. All of these types of opportunities should be entered into cautiously and with deliberation. The next caller discussed a website called JustAnswer.com. JD’s wife actually wrote a post about this site a few weeks ago. The service works by having people ask a question and then bid for an expert to answer their question (usually $7-$15 per question). Becoming an expert in a specific area requires an aptitude test, but according to the caller, an expert can make around $50 a day by just answering questions in an area in which you are proficient. The final caller asked Jim and JD for ideas on how to make his passion of television and video into a money making hobby. They offered great advice by saying that he could try and become a wedding videographer, or better yet, to try and find someone that would allow him to take up an apprenticeship. This would allow him an opportunity to learn while not having to pay the large overhead of equipment, etc. Additionally, he would have the chance to build a portfolio to better market himself in the future. This podcast has real value for those that are just starting to become interested in personal finance, or for those that are always looking to build upon their wealth of knowledge. Jim and JD are entertaining and offer advice based on experience and sound financial strategies. read posts, except this webpage presents feature based posts. Hello there. I found your website by way of Google even as searching for a similar topic, your web site got here up. It seems good. I’ve bookmarked it in my google bookmarks to visit then.